Schwabe is one of the premier natural resources firms in the Pacific Northwest, with a deep understanding of both the legal and political pressures that impact these vital industries. The Pacific Northwest’s rich natural resources are central to the region’s economy and business identity. For more than 80 years, companies that develop and employ these resources have called on Schwabe for every aspect of their business lives. Our clients include Pacific Northwest industry leaders, national and international businesses, family-owned and closely held companies, investors and natural resource industry associations. Our own resources are as plentiful as those of the region we serve, with more than 40 lawyers working daily to protect and defend working lands, whether private or public, and to navigate complex regulatory frameworks. 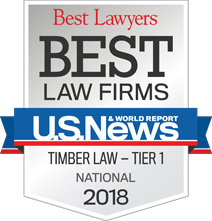 Our team includes leading lawyers in traditional natural resources legal disciplines, as well as business, tax and estate planning, intellectual property, labor and employment, and litigation. Our attorneys are working on cutting-edge projects in carbon trading, agriculture technology (ag tech), biomass energy, chemical process mining, plant patents, water quality, endangered and threatened species agreements, renewables and water development. We are proud to support our clients as they continue to grow and thrive. The Family Farm Is Coming To You: What’s Next? Covered by the Clean Water Act and WOTUS? Maybe Not Anymore. Marbled Murrelet Listed as Endangered Under Oregon’s Endangered Species Act: What Does It Mean for Timber Landowners and Operators in Oregon? Are Your 2018 Benefit Changes Legally Effective? Tax Reform: What Does the Tax Cuts and Jobs Act Mean for the Agriculture Industry? Do Not Clean, Clean Dirt: Douglass v. Shamrock Paving, Inc.
Is There One Thing That Drives Innovation? Yes. The Future Commute: Ready for Crowded Skies? Who Will Own Your Farm?